Corinne brought out the champagne mid-show and Chris Harrison basked in his two whole hours of screen time. Chris Harrison got 2 whole hours of face time and he was. loving. it. He even got a rose ceremony. Take that, Nick. Chris Harrison coming in hot. His redemption episode. 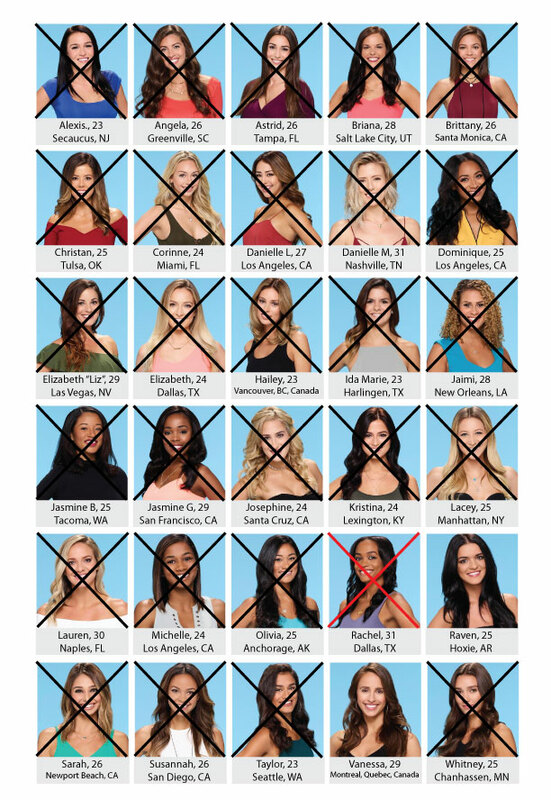 Who got kicked off: Rachel the next Bachelorette was finally kicked off of this season as ABC already released the spoiler that she was the next Bachelorette. The Bachelor Bus is this glorious bus that takes Chris Harrison and the current Bachelor, this season being Nick, to all of the Bachelor viewing parties with giant numbers of ladies. They breezed through the UCLA campus to sorority row. Dolphin Shark returned in style. An audience member wore a left shark costume just as Alexis did that glorious night one. Only this audience member didn’t get drunk. Alexis was asked what the difference was between a dolphin and a shark. She identified that a shark has gills. I guess life has taught her things post-bachelor. Liz went on a soapbox about loving yourself. Kristina about living a life in color. Tonight is the 3 hour finale!!!! Yes. 3 hours. Buckle up, Bachelor Nation. Who do you think Nick will pick?Vanessa or Raven?